KUALA LUMPUR: The luxury-loving wife of Malaysia´s former prime minister was Thursday charged with money laundering and tax evasion linked to a multi-billion-dollar scandal that helped bring down the country´s previous government. Reviled in Malaysia for her lavish overseas shopping sprees and fetish for Birkin handbags as well as dazzling jewellery, Rosmah was released on bail after spending the night in detention at the office of the country´s anti-corruption agency. 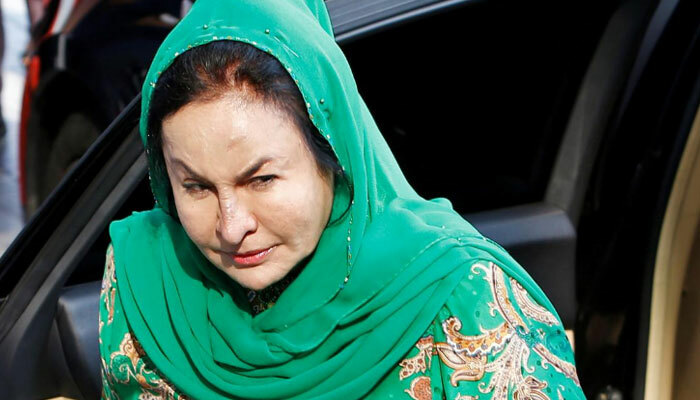 Lead prosecutor Gopal Sri Ram told the court Rosmah´s alleged offences were "very serious".